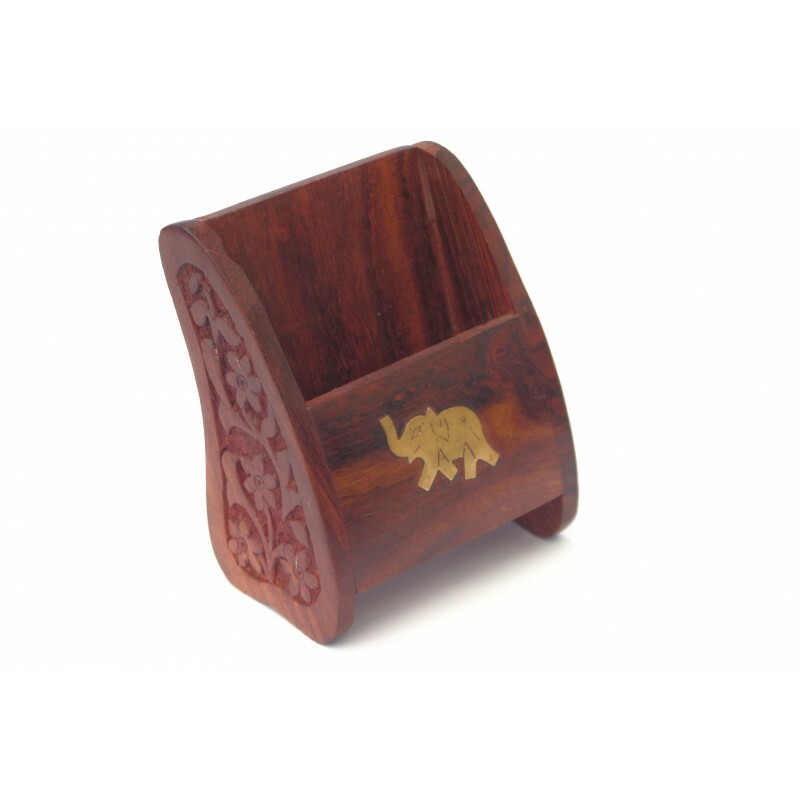 Hand carved Lattice style wooden elephant with baby elephant carved inside its belly. Hand carved under cut style wooden elephant with baby elephant carved inside its belly. Elephant carved in lattice style with a baby elephant within its belly is one of the popular elephant artifacts. This elephant is a masterpiece in wood carving work. Its interesting to see the way these elephants are hand crafted. The inner baby elephant is carved through the holes made on the structural piece. These are made from one single piece of wood and do not have any joints or separate pieces. Elephants are loved for their gentle and wise nature, respected by cultures all over the world, often represents elephants as an embodiment of strength, stamina, patience, memory, family, and so much more. Makes a great gift idea for a friend who shares any of the traits that make these fascinating animals so iconic. Approximate Size (H x W x D - In Inches) : 6" x 6.5" x 3.5"
All items are hand made using basic hand tools like chisels, scrapers, drills etc. Due to it being hand crafted and by the very nature of wood, wood grains and wood colour may vary slightly with each product. The images shown are for a guidance only and the actual product you receive may vary slightly. Please bear this in mind while making your purchase.